Modular design brings added value to your binding operations. Using ProClick® spines, the ProClick® Pronto™ P2000 is designed to complement the robust, high-capacity GBC® punches already in place at many corporate and commercial printing operations. ProClick® Pronto™ adds the functionality of automatic binding with professional ProClick® binding spines. With the simple press of a button the ProClick® Pronto™ dramatically improves workflow and productivity while producing great-looking documents. ProClick® is the gold standard in document binding. 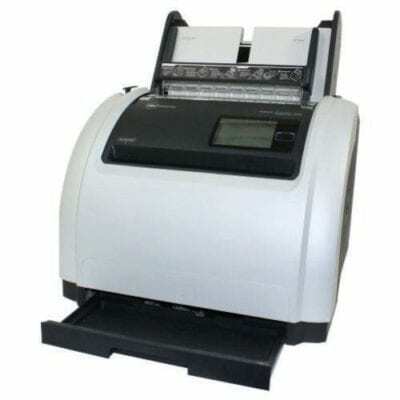 Features include: pre-loaded 20 spine cassettes to eliminate the need for loading individual binding spines, modular design to meet tight deadlines, small footprint, simple one button operation, intuitive LCD interface provides easy-to-follow instructions, document sizer ensures the correct spine selection and maintenancee-free operation. Key FeaturesQuickly bind books with ProClick easy edit elements in just 6 seconds. LCD display walks user through the binding process. Includes 12 month onsite maintenance at no additional charge. Load cassettes of 20 ProClick spines in the Pronto. New Size! Choose from 5/8? 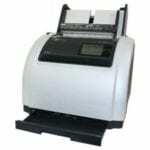 or 100 sheet capacity ProClick spines. No user training required to operate. Die sets available to compliment all GBC production punches. Document alignment light guides book creation to ensure the perfect bind. Bind cycle of 6 seconds for binding productivity of up 450 books per hour.